British cars are among the best maintained in the world, with UK motorists spending a collective £21.1 billion a year on servicing and repair. That’s according to a new report – the first official industry analysis of the UK automotive aftermarket – published today by the Society of Motor Manufacturers and Traders (SMMT). The report, The Importance of the Aftermarket to the UK Economy, commissioned by SMMT from independent research consultancy Frost & Sullivan, reveals that UK consumers spend an average £695.39 on car maintenance every year – some 12% higher than the average global spend per car of £621.62.2 The report also states that compared with other markets there are fewer cars in disrepair, generating excess pollution or needing new brakes on British roads. The report’s findings come as the first ever Automechanika aftermarket trade show in the UK opens today at Birmingham’s NEC. The exhibition brand already has a presence in 14 markets and the growing UK sector is the latest to be identified as a key investment destination. The way people buy and use cars is also changing rapidly which, according to the report, presents the aftermarket with both opportunities and challenges. The shift from outright vehicle purchase to leasing and a longer-term trend from car ownership to ‘usership’ will require new business models, while the new era of vehicle connectivity will also present opportunities for businesses prepared to embrace technological change. The digitisation of retailing is also having an impact on the way consumers’ needs are served, with motorists increasingly using the internet to compare prices and products and schedule maintenance work. 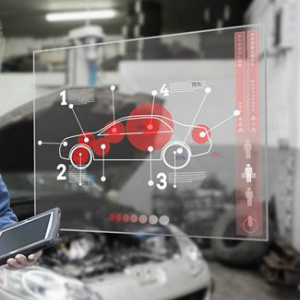 The UK aftermarket is well placed to respond, with the highest penetration of online retail for automotive parts and services at 7%, ahead of Germany and France at 5% and 4% respectively. Opening today and running until 9 June, the first ever Automechanika Birmingham will see thousands of investors and buyers visit more than 550 aftermarket and supply chain companies at the NEC. Of the 15 Automechanika trade shows that now exist worldwide, Birmingham’s event is set to be the second biggest debut behind only that of Frankfurt’s flagship show. Do you go above and beyond to keep your car or fleet in tiptop condition, let us know how often you get a service or treat your mobile office to a valet.